Home of a slew of unique rides, but Shweed rides stand out because of its environmental approach to getting rides’ adrenaline pumping. 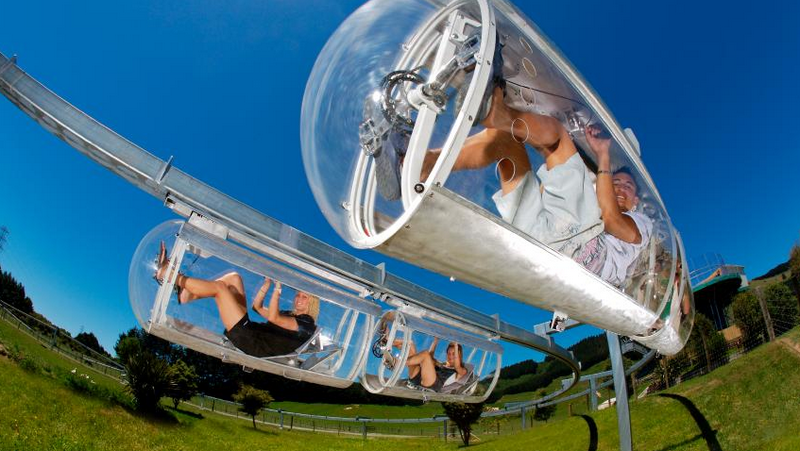 Translucent, pedal-powered tubes that hang from a monorail and face off in head-to-head races or compete against the clock. The 2000-foot-long course snakes through scenic farmland and can power through in less than a minute. Flying Fury ride is made up of a T line and two parallel independent arms. Each arm is rotating 360° in both directions brings a craft four chairs interdependently. The system allows each of the two vehicles to rotate freely 360° on the three central axes: while the support arm rotates to simulate sudden climbs and dives, the car is loose to turn both on the stem of the sleeve (yaw) and on its axis (roll). Interactivity allows the Riders to drive the movements making their flight performance, but Riders or Operator can also put also the plane into ‘emergency mode’ so that it reverts to an automatic programmed. When the park declares “nothing but a net!” they’re honest. 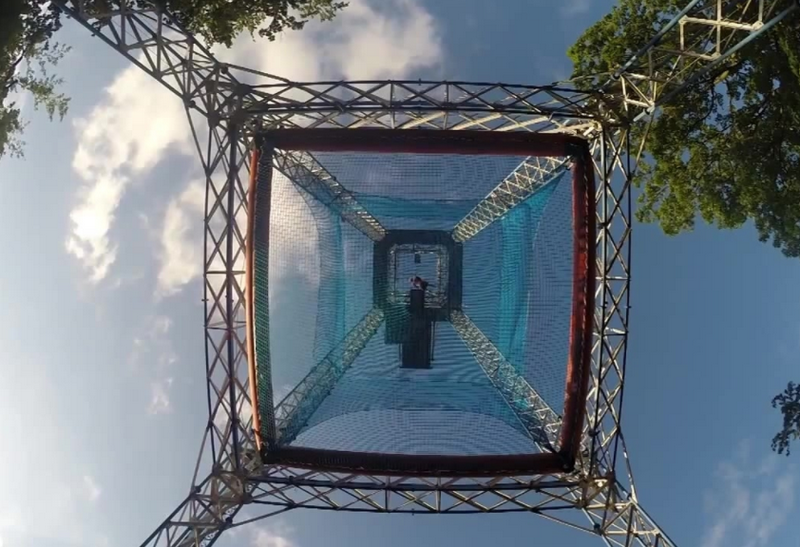 Riders are of the insane “Sky Tower” free-fall nearly 100 feet at somewhere around 55MPH. No rope. No harness. The only thing between you and the net is air. 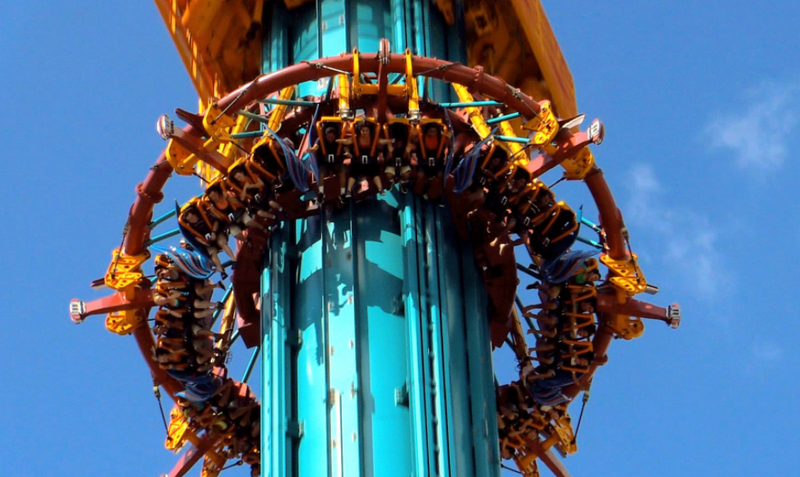 As you can probably imagine, the drop is nothing short of terrifying, and lucky for us, this video exists to show us what it’s like without having actually to go through with it. 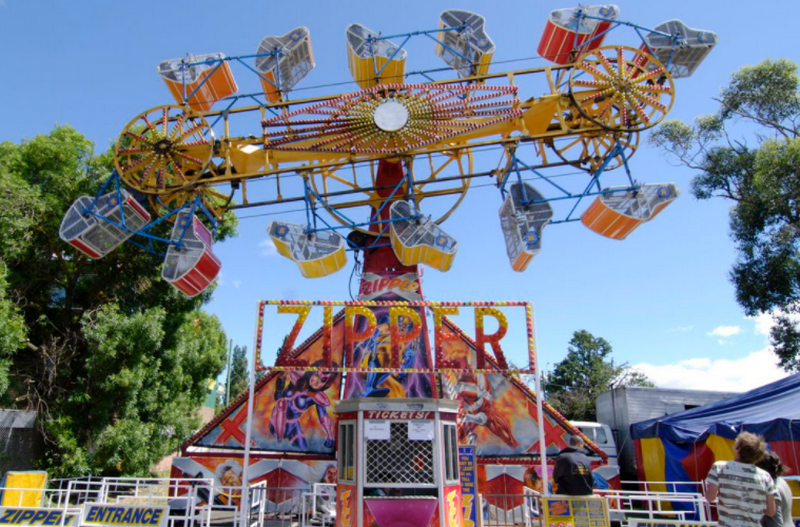 This ride is the official measuring stick to which all other “scary” rides measured – if your body can manage two and a half minutes on the Zipper, you can handle any different spin on a carnival midway with the possible exception of its cousin – Turbo. The ride is lean, mean – and very rarely clean: the firmly padded, inner-carriage cushioning has its fair share of wipe-downs. Like the old Cypress Hill rap song, you’d have to be “insane in the membrane” to set foot on Insanity-The Ride. Or, you must have a hunger for fun, heights and a complete lot of spinning! Stretching 68 feet over the edge of the 1,149-foot Stratosphere tower. While resting in your escape proof seat, you’ll be lifted up at a breathtaking, 70-degree angle all while stretching speeds up to 40 mph. 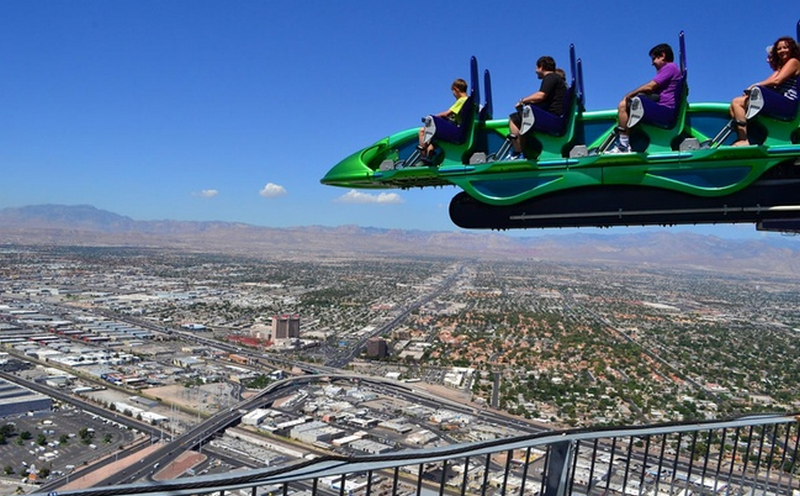 With views of Las Vegas Strip more than 900 ft. Below, the ride combines both a physical and psychological rush.